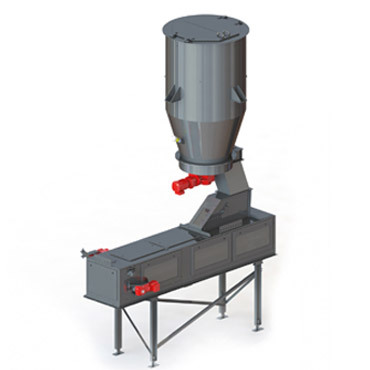 Weigh feeders are constructed for gravimetric dosing of various materials. AC-motors with frequency converters are used to regulate the belt speed. 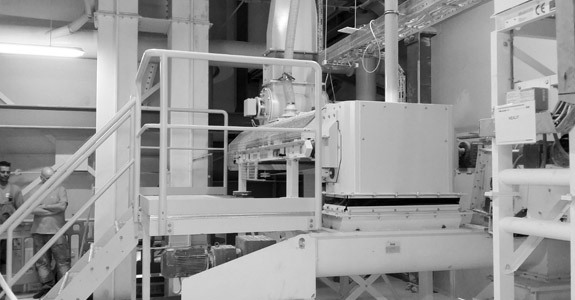 Depending on the set value and on the belt load the belt speed is controlled in a way to ensure that the dosing capacity corresponds exactly to the pre-set nominal value. 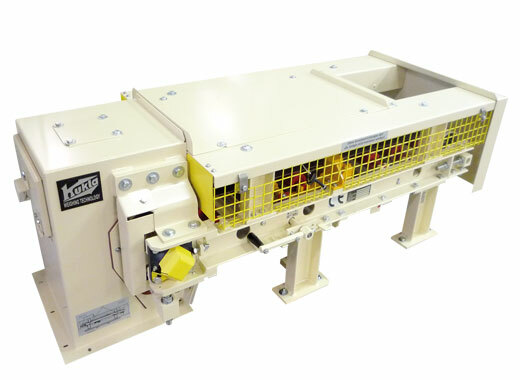 The simplest type is the weigh feeder for direct hopper discharge. For materials which are problematical to handle, special dosing devices such as rotary vane feeders, dosing screws, dosing rollers etc. are situated in front of the weigh feeders and are operated together with the weigh feeder in bloc control. 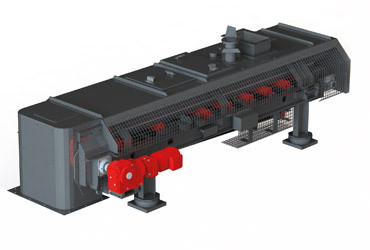 Depending on the nature of the bulk material the weigh feeders are of “open” design E-DBW-A, available with covered conveying channel or fully closed, and dust tight design E-DBW-H or with integrated rotary vane feeder E-DBW-A (H)-I. The classical area of application is in the mid to high range of capacity for continuous dosing of fine-grained to coarse-grained bulk materials. Depending on the nature of the bulk material the weigh feeder E-DBW-A is of “open” design available with covered conveying channel. KUKLA weigh feeders are built on a solid steel frame in order to guarantee the stability required for high-precision measuring. Each KUKLA standard scale is provided with a test weight device, which permits an easy and quick check of weighing accuracy within a few minutes. An integrated weight-loaded belt steering and tensioning device ensures high accuracy and high reliability. The classical area of application is in the mid to high range of capacity for continuous dosing of dusty to coarse-grained bulk materials. 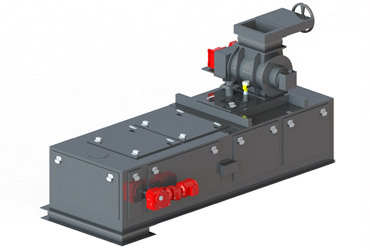 The weigh feeder of series E-DBW-H is completely closed and in dust tight design. For special materials dosing devices such as rotary vane feeders, dosing screws, dosing rollers etc. are situated in front of the weigh feeder and are operated together with the weigh feeder in bloc control. KUKLA weigh feeders are built on a solid steel frame in order to guarantee the stability required for high-precision measuring. Each KUKLA-standard-scale is provided with a test weight device which permits an easy and quick check of weighing accuracy within a few minutes. An integrated weight loaded belt steering and tensioning device ensures high accuracy and high reliability. Usual rubber conveyor belts are not usable for bulk materials with very high temperatures. In these temperature ranges we use the KUKLA-apron weigh feeder. But even where large bunker cross sections for discharge of the material are necessary and where the wear and tear of a rubber conveyor belt is too high, KUKLA-apron weigh feeders can be used. In these scales the material is lying on robust metal plates. It was a great challenge for our engineers to integrate high-sensitive measuring technology. Our engineers managed it in a way that is unique in the world. The typical range of application is in the cement-, magnesit- and steel industry in middle to high range conveying capacity for continuous dosing of grained bulk materials. An integrated, pneumatic belt steering device ensures high reliability. E-DBW-H are used. Alternative fuels often are delivered uncleaned, different in size and therefore they are very sticky and difficult to feed. Especially for this application KUKLA has developed a discharge device with an eccentric-moved sheet, which ensures a homogeneous belt load. 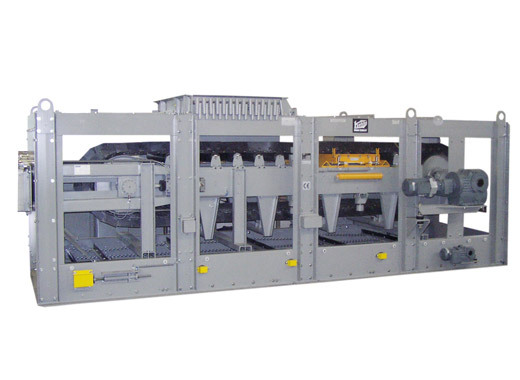 On customer´s request also a fully automatic trough bottom cleaning device is available. KUKLA weigh feeders are built on a solid steel frame, in order to guarantee the stability required for high-precision measuring. Each KUKLA-standard scale is provided with a test weight device, which permits an easy and quick check of weighing accuracy within a few minutes. An integrated weight-loaded belt steering and tensioning device ensures high accuracy and high reliability. 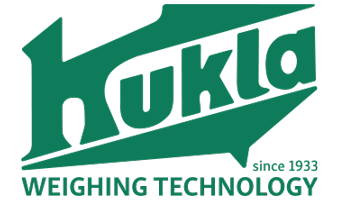 KUKLA has developed specifically a weighing- and dosing system for pre-chopped fiberglass. This weigh feeder is particularly used for the production of gypsum plasterboards and wherever pre-chopped fiberglass is used. By means of several weighing systems, a special back combing as well as a special combing brush the pre-chopped fiberglass is accurately fed to the process. An upstream discharge device (ASG) is used for pre-dosing the fiberglass, which can be directly discharged from a Big-Bag. All weighing, dosing and control functions are performed by one KUKLA-weighing electronics. Each standard scale of KUKLA is equipped with a test weight device which makes possible a quick and easy check of weighing accuracy within a few minutes. An integrated, weight-loaded belt steering- and tensioning device guarantees a high accuracy and high reliability. KUKLA small weigh feeders are applied wherever bulk materials are dosed in a low range of capacity. The type of construction is similar that of its “big sisters” E-DBW-A or E-DBW-H, just a little smaller. 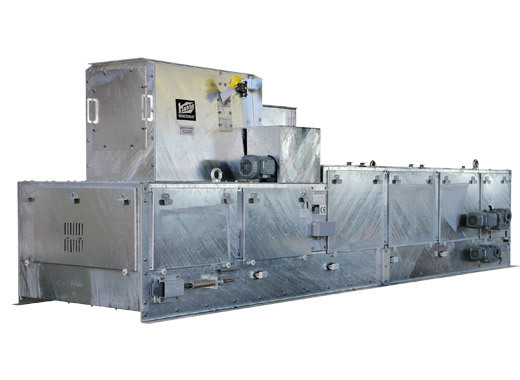 The typical range of application is for low to middle range of conveying capacity for fine and fine-grained bulk materials, mainly in the chemical industry and wherever low ranges of capacity are required for dosing processes. Small weigh feeders are available in open design E-K-DBW-A, with or without covered conveying channel or in closed design E-K-DBW-H. Small weigh feeders can be provided with dosing rotary vane feeders as well. Each KUKLA-standard scale is provided with a test weight device, which permits an easy and quick check of weighing accuracy within a few minutes. An integrated weight-loaded belt steering and tensioning device ensures high accuracy and high reliability.